Remember the feeling when you first got your new laptop? No lags, no freezes, no hangs — everything was brand-new and it seems just perfect! "Alright, this time no more video games on it, no more photo/video editing. I'll keep it clean and make sure it's fast to do work." Over time, things started to change. 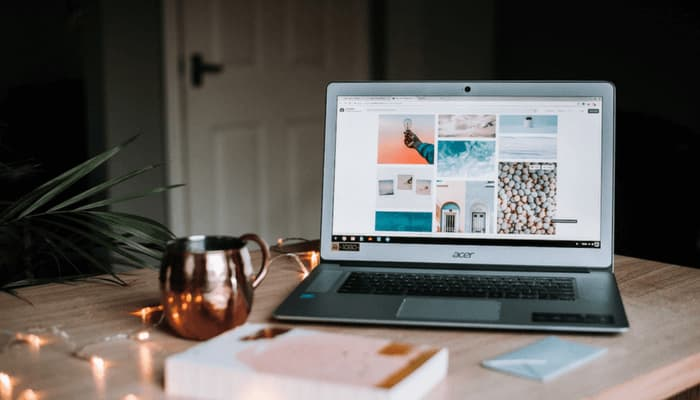 You notice your laptop began to act up, for example, taking longer to start up, freezing now and then, and many a time you couldn't help but scream out: why is my laptop so slow? If this sounds familiar to you, then you come to the right place. Here we are going to show you the common causes for a slow laptop and what you can do to fix them. Note: this article is dedicated to Windows-based laptops. If you're using a MacBook Pro or MacBook Air, take a look at this or this article. This is, unfortunately, the most common cause of a new laptop running slow. Your laptop has plenty of storage and CPU is almost new, there's no reason for it to lag, right? But, Windows 10 jumps in and keep you wait for half an hour once you press the start button. Sound familiar? What to do about it: well, it's really annoying to see the black screen with a circling icon going on and on. However, you can't do much about this during a Windows 10 update. Microsoft chooses to do so for the security of your computer. Because 1 in 10 computers infected with viruses each month, according to statistics revealed by World Backup Day. To manage Windows 10 update, read this article from ZDNet. A laptop is still a computer. Its brain (processor, memory, etc) is just like we human beings. Handling multiple tasks simultaneously will slow you down. That's why many of us don't believe in multitasking. The symptoms of having too many applications running at once on a laptop include but not limited to: the software you run becomes unresponsive, the mouse cursor freezes or barely moves, Windows takes longer or forever to shut down, even worse, the whole system crashes. What to do about it: Start with optimizing the startup list by removing or disabling apps or services that automatically start. Do so with efficiency with CleanMyPC. Also, if you are using a new laptop, it's probably bundled with lots of bloatware, uninstall them. Next, check what tasks are running in the background and how much system resources are available. 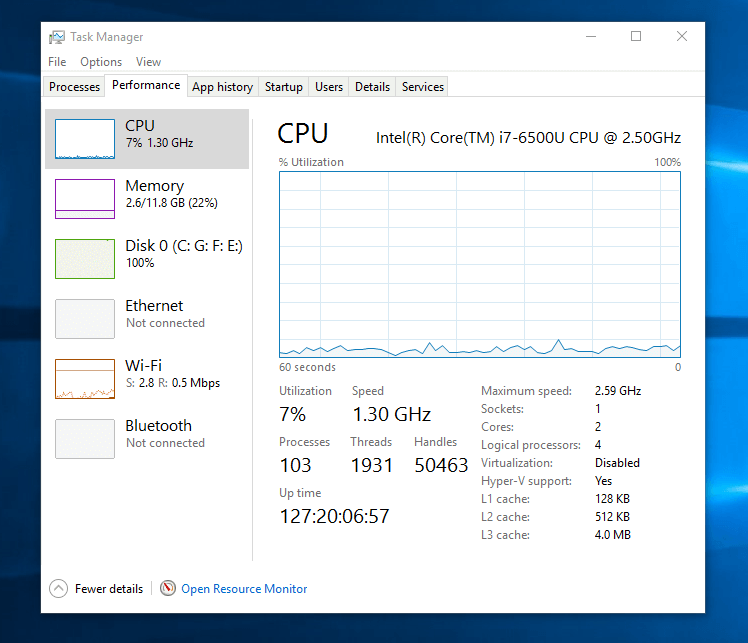 Task Manager is the place you can check and have a clear overview. Kill those heavy processes that you don't need. Note that in some cases it's the security software that is over-consuming your laptop's system resources. Make sure you are using a lightweight one like MalwareBytes and adjust relevant settings properly. Although it's a myth that more disk space means a faster laptop, in general, it's good practice to maintain at least 15 percent of free space on your laptop hard drive (or SSD). This helps boost your laptop performance quite a bit and eliminate freezing issues. What to do about it: Go ahead and clean your laptop main drive. Unfortunately, it isn't that easy as it sounds because there isn't one-fit-all fix. We recommend you start transferring big files especially videos and photos that tend to take more disk space than other types of files. Followed by removing applications you don't often use, especially those third-party programs that take gigabytes in size. Lastly, if you want to save time doing so. 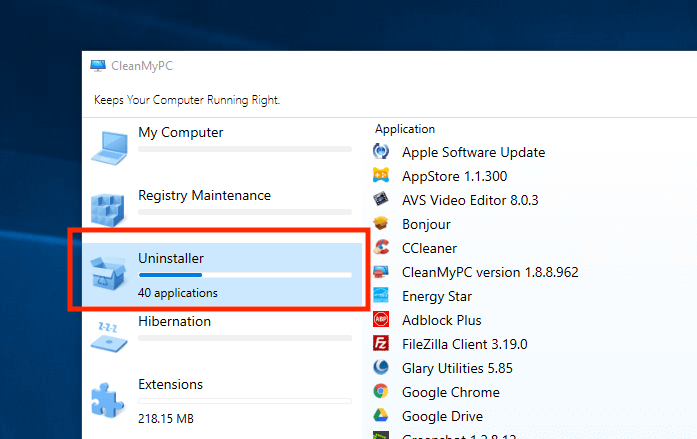 Grab CleanMyPC and use the Uninstaller feature and several other helpful features for efficiency. It's no surprises that viruses or malicious software can cause serious damages to any PC, as well as bogging down its overall performance. Once you feel your laptop really acts up, for example, unable to shut down the system, everything lags, web browsers locked up with tons of flash ads, etc; Most likely they've got you. What to do about it: Simple! 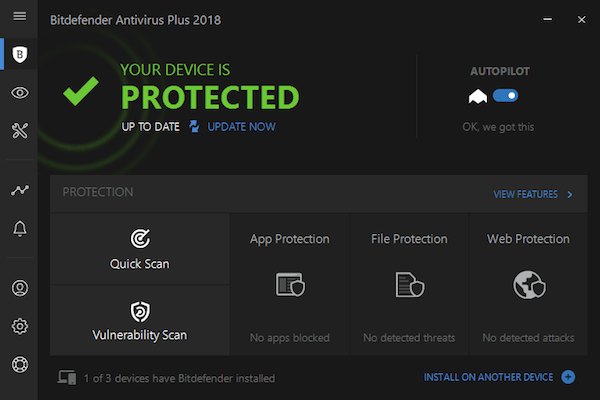 Check if your laptop has been infected by running an antivirus and anti-malware scan. Microsoft has the built-in Windows Defender which are supposed to keep your laptop from any malicious threats. However, it's not the best security software. We find Bitdefender Antivirus Plus and Malwarebytes more superior and they are much easier to use. There are, of course, plenty of good options available. Just keep in mind to update your security software regularly. Any laptop computer will warm up when the CPU is running hard to process requests, and you'll sense the fan working hard trying to cool it down. When the heatsink tubes inside your laptop are filled with dust, or your PC is exposed to high temperature, chances are overheating is going to take place. If that happens, the consequences can be enormous. What to do about it: First off, get a cooling pad like this for your laptop as this helps quite a bit. Then check if the heatsink is stuffed, use a can of compressed gas duster to blow it out. Additionationally, avoid opening several programs at the same time especially those "heavy" apps like Photoshop, Premiere, etc. that demand more resources to run smoothly. Once again — less or no multitasking at all. If your laptop has shown its age, the reason why it runs slow now probably due to hardware issues. The hardware we are talking about here refers to underperforming hard drive, and inadequate memory (RAM). For instance, 4GB RAM is perhaps the minimum requirement when you use your laptop for basic office work and web browsing. What to do about it: So, if you've tried everything else and your notebook is still sluggish, try to upgrade the hardware. How? There are two best practices here: adding more RAM, and replace your HDD with an SSD. SSD stands for a solid-sta﻿te drive - way fast﻿e﻿r and quieter than a traditional spinning drive. If the memory (RAM) is the bottleneck, get an extra one like Crucial 8GB Single DDR3 or Kingston Technology 4GB from Amazon. If you decide to replace the old HDD with a new SSD, consider Samsung 860 EVO or SanDisk SSD PLUS. Note that hardware upgrade will be a costly solution but compared to abandoning the old laptop and getting a new one it's still a wise choice. One more thing: if you're not comfortable with computers, it's best to ask a geek friend for a favor while you do the upgrade. And remember to backup your data before you proceed just in case. Hope you find this laptop troubleshooting guide useful. Obviously, the causes for a slow laptop are endless as your case can be very different from others. But, we've seen or experienced some of the issues that are common to what users are encountering, thus we decided to put together this article. Anyway, a faster laptop is better than a slow one. When a laptop runs slowly, it not only affects our work productivity, but it's also bad for our health according to a recent study. Understanding what's causing your laptop to slow down is the first step, then you know what needs to be done to fix the culprits. That's all that we want to cover in this post. Last question, which one is the "tuneup" fix that helps?